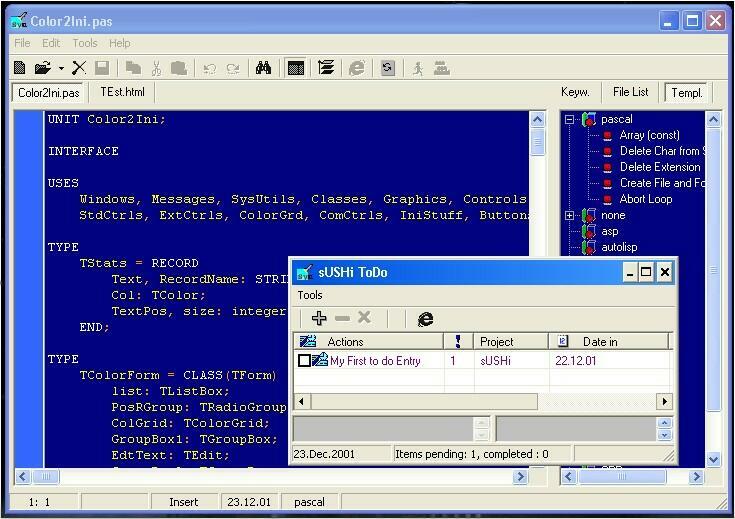 Editor’s Comment/ Tis software sUSHi – smart Universal Syntax Hilighter an outstanding programming editor with syntax highlighting for any language. It is meant for progammers, who work around with code of different languages daily. After sUSHi has been configured it is able to open any code file in the colors you prefer. With its tabbed multi document interfaces you can actually open as much files as you like in the one allowed instance of sUSHi 2.